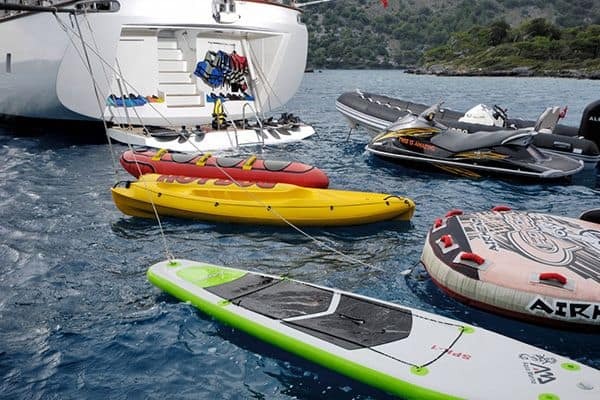 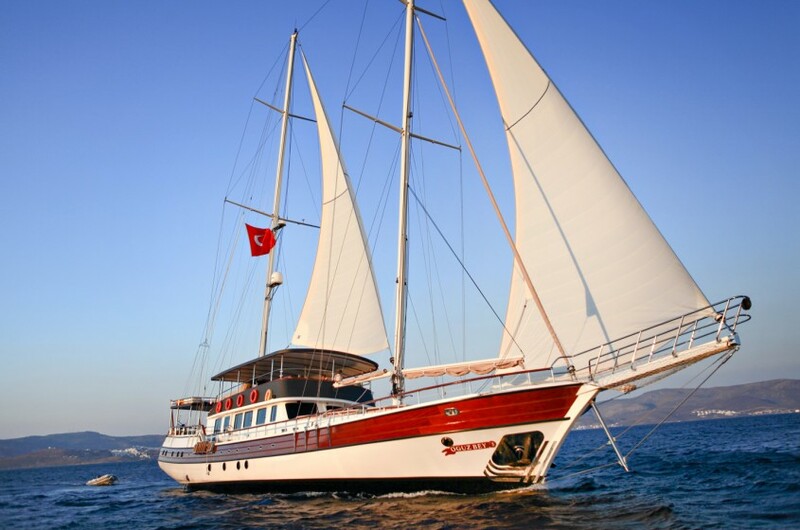 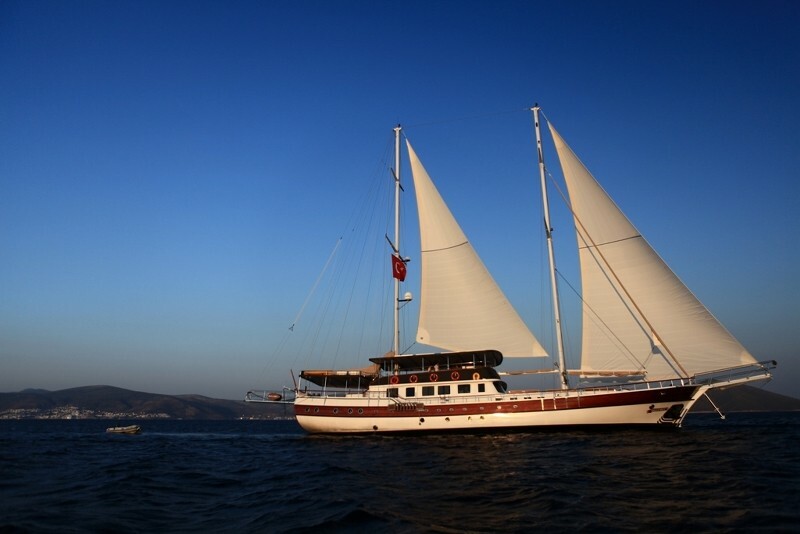 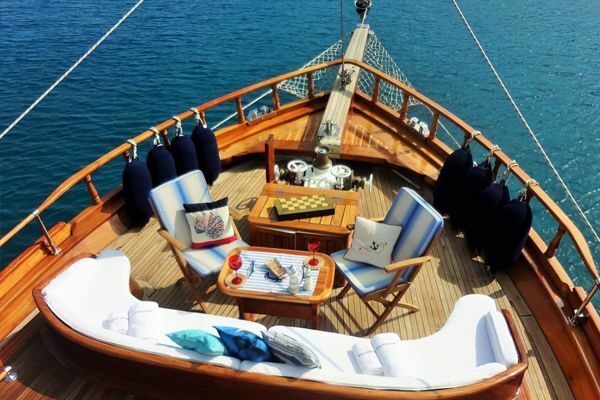 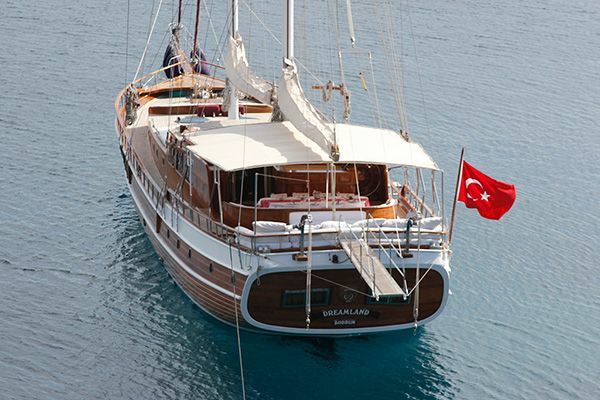 The gulet Oguzbey is an impressive luxury gulet available for large family or friend groups, or suitable for corporate meeting and incentive groups. 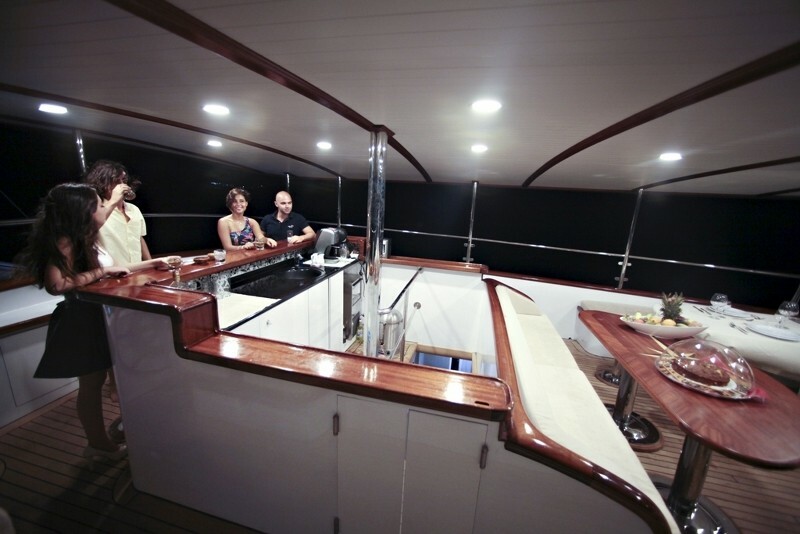 Thoughtful and practical design in the complete 2014 reconstruction of this gullet ketch, renamed Oguzbey, means it is now able to carry up to twenty guests on board while still offering distinct areas for gatherings or quiet relaxation time. 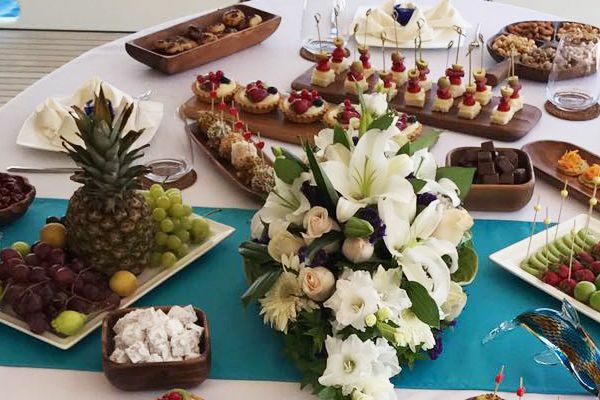 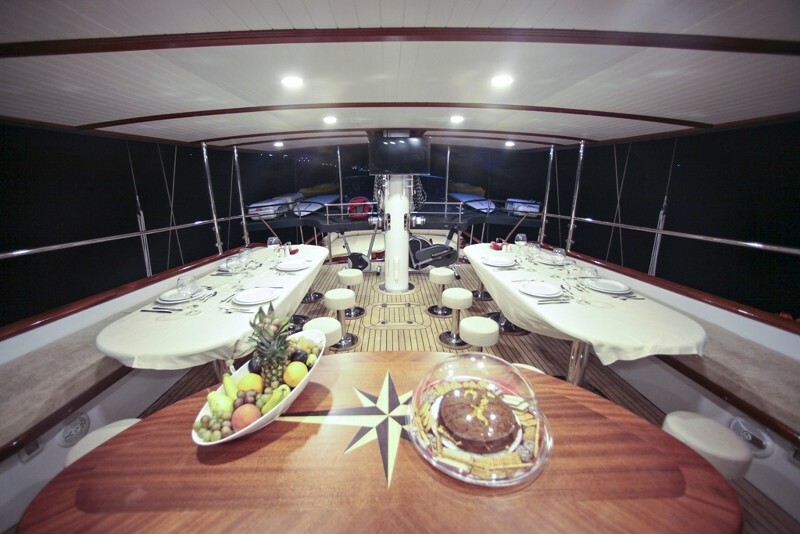 All guests’ needs are attended to with discrete and friendly professionalism by the Captain, the chef and crew of five. 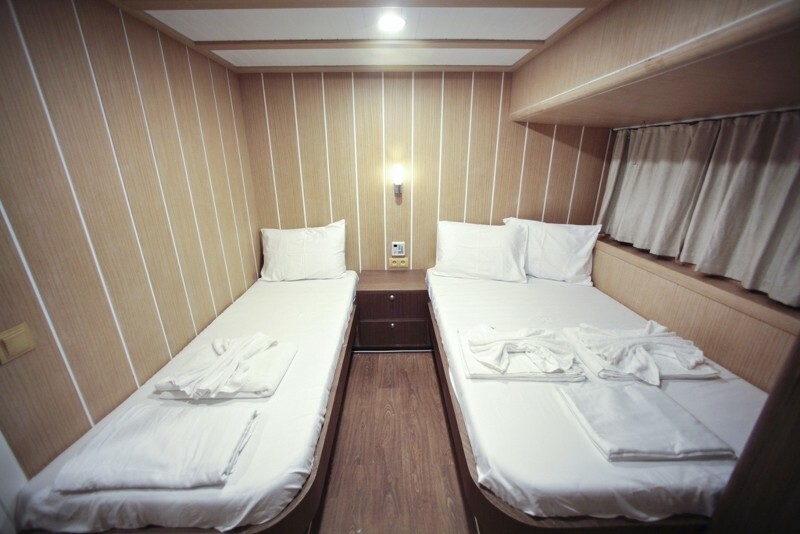 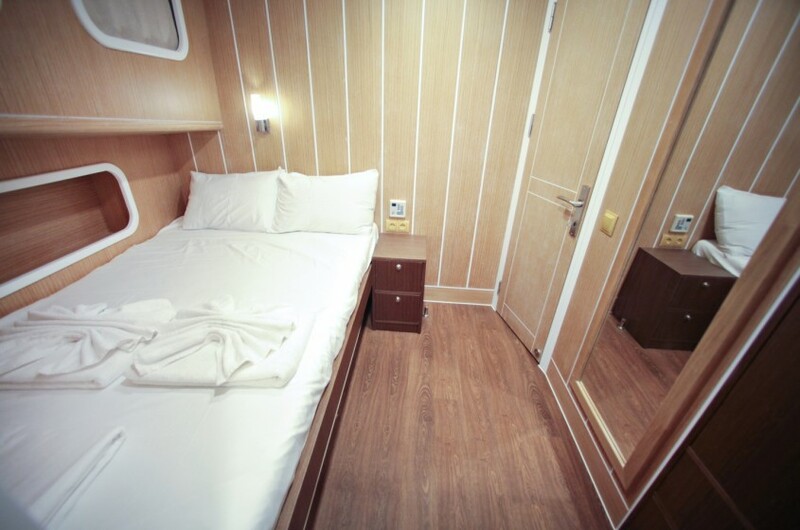 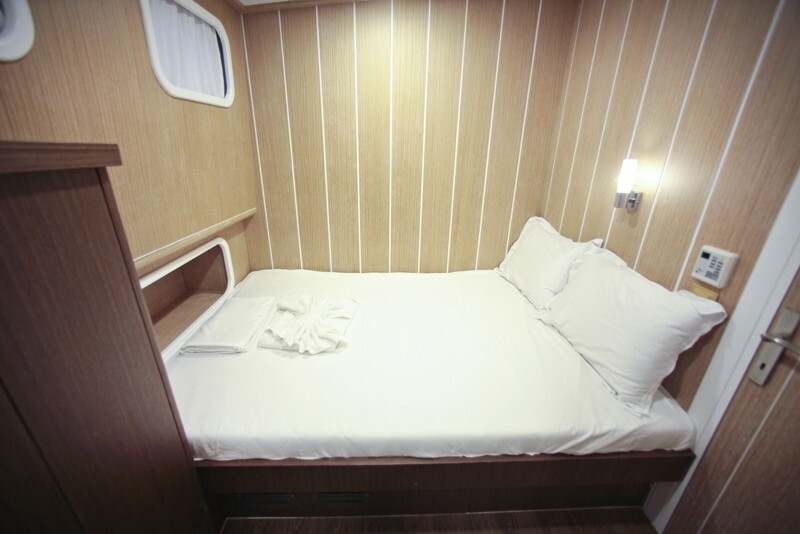 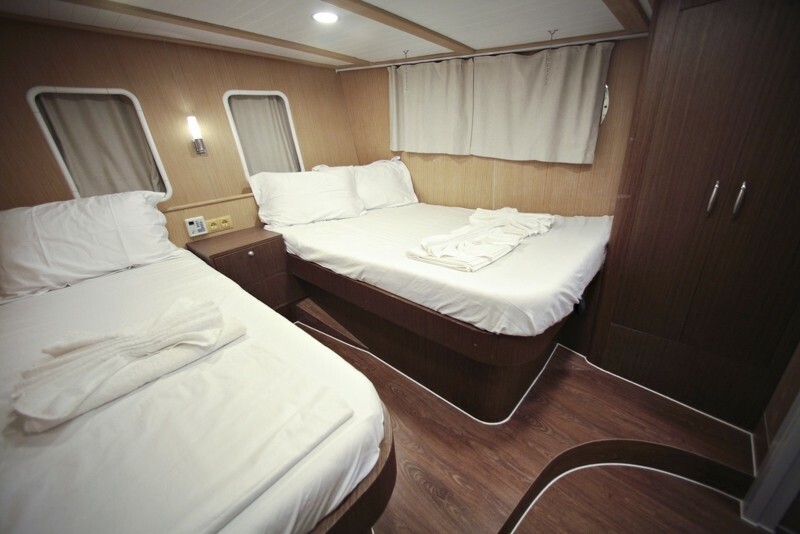 The ten double cabins include six cabins with a double and a single bed, offering a flexible accommodation option as twin, triple or double cabins. 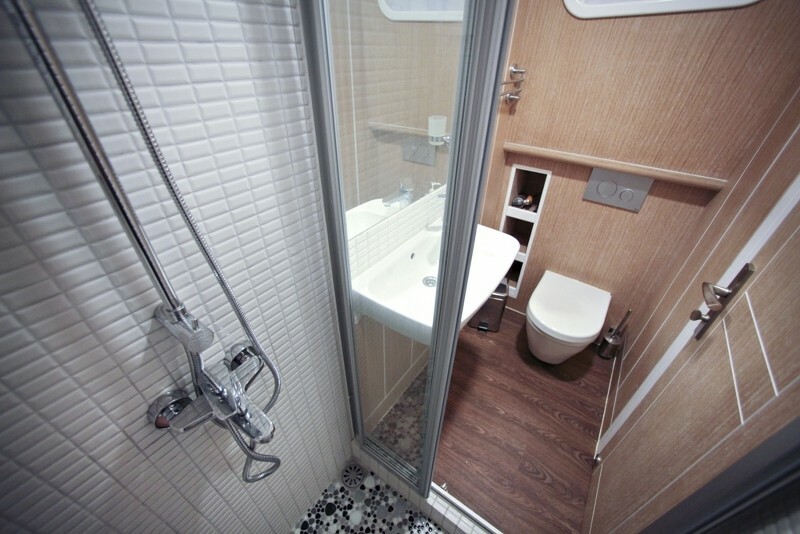 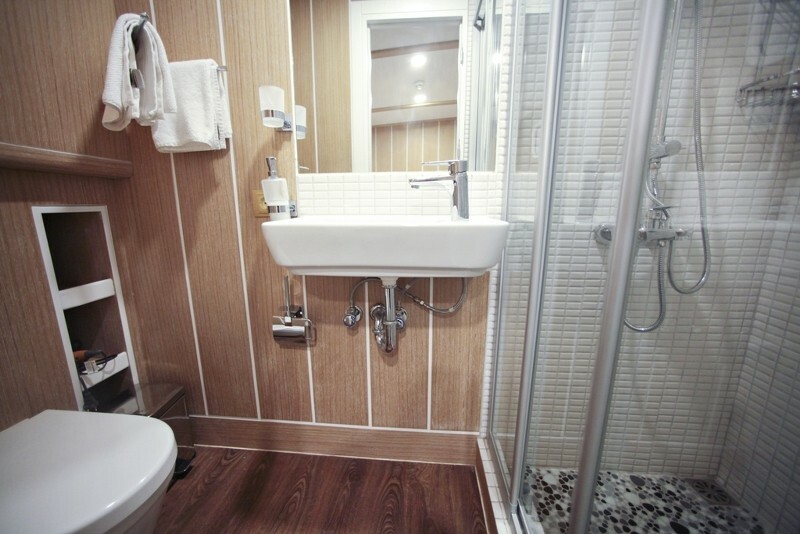 All cabins have their own bathroom with shower cubicle, WC and basin, and hairdryer. 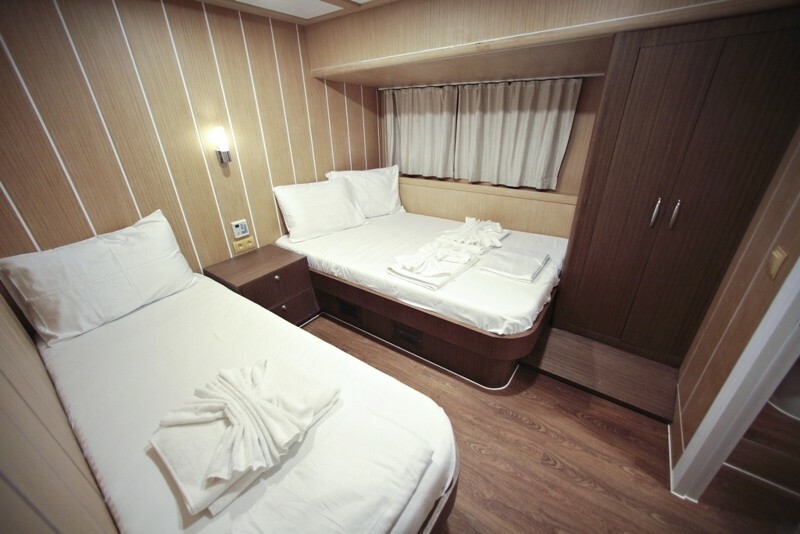 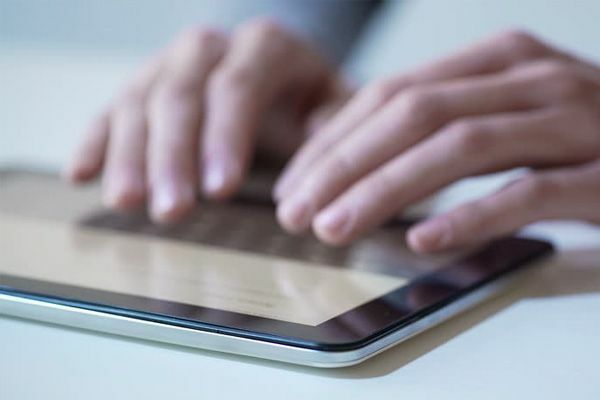 Each cabin has their own TV, DVD, music system and air conditioning available. 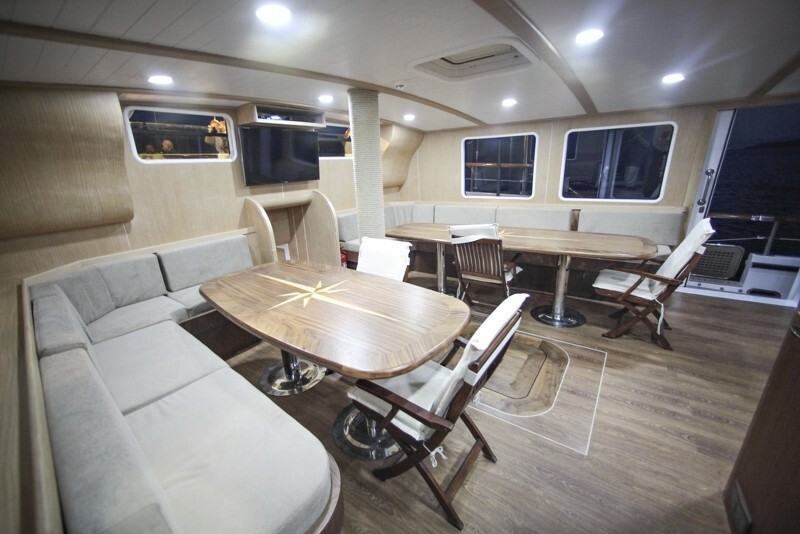 On deck the indoor saloon is both a dining room with two tables and seating, and a relaxed seating area with TV/DVD music and internet connections. 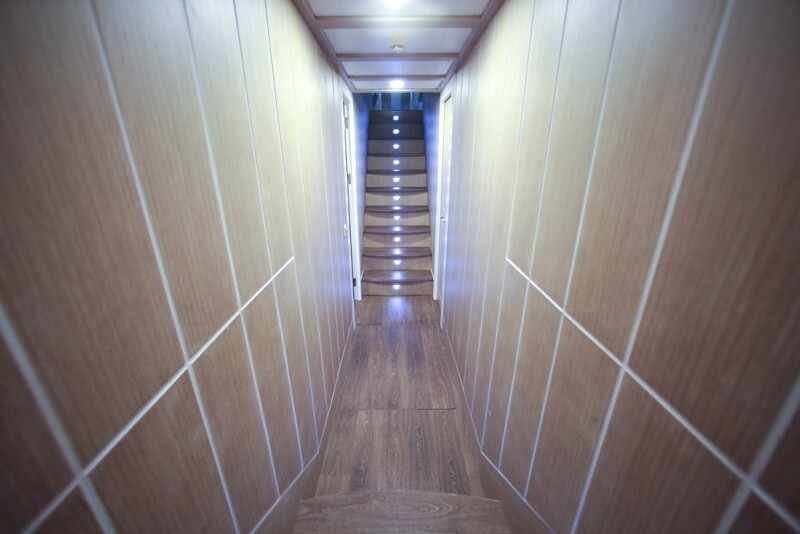 The cabins, corridors and saloon are all lined with a light wood veneer adding light and feeling of space to the indoor areas. 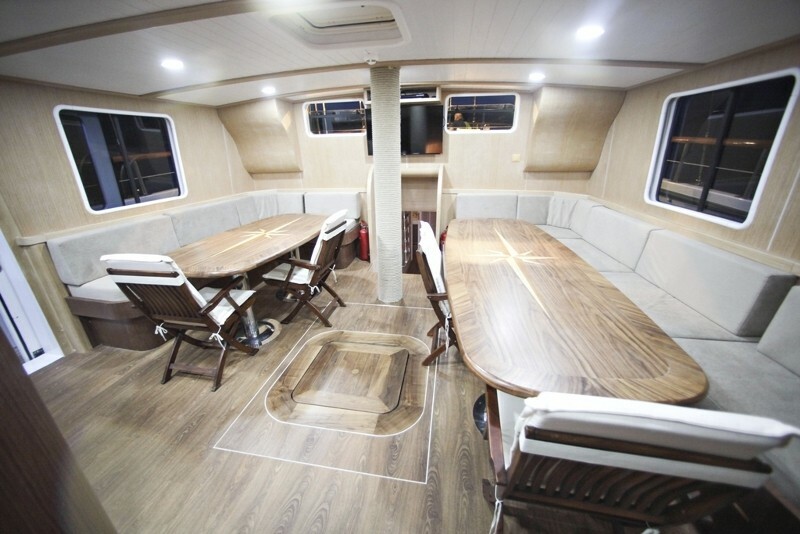 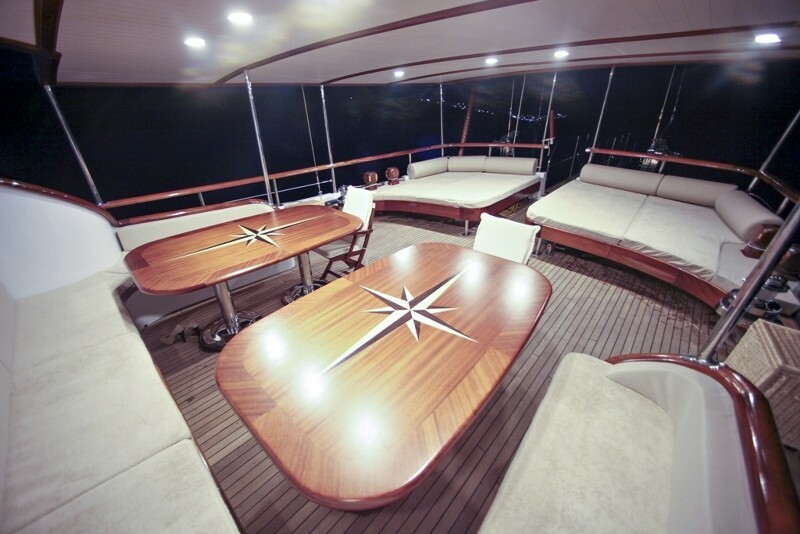 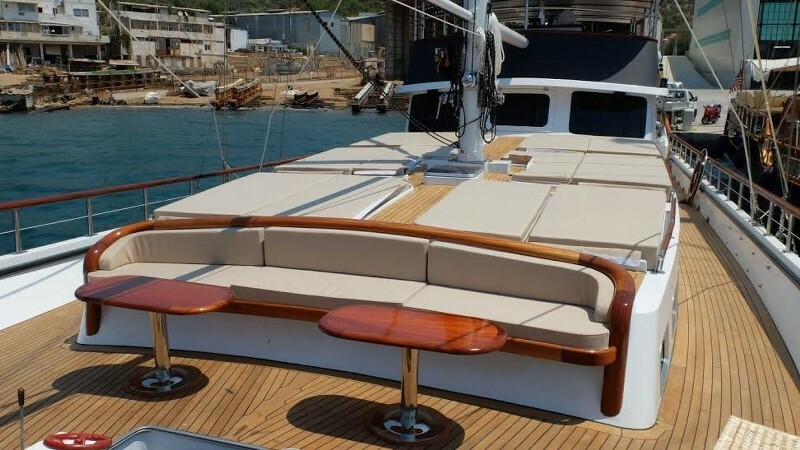 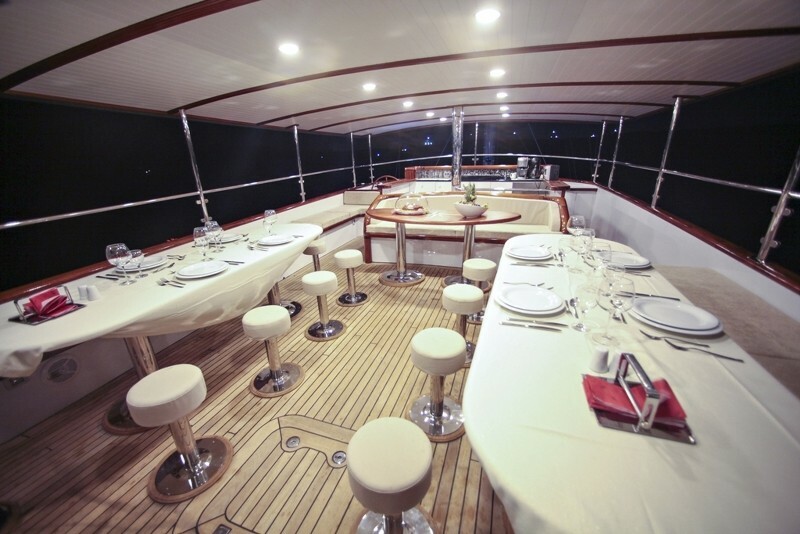 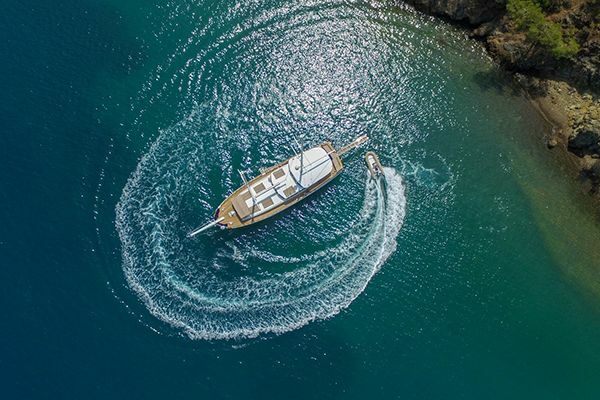 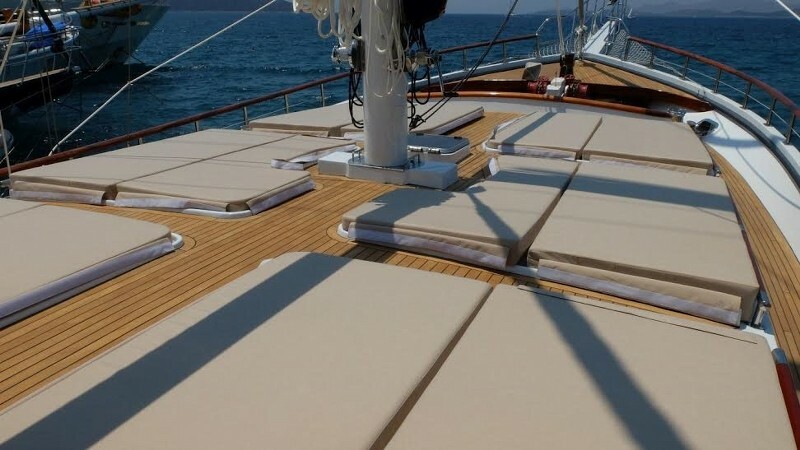 The inviting open-air aft deck on Turkish gullet Oguzbey has four comfortable corner bench seats and two tables ideal for a whole group to meet in the round, or individuals to find the shade, read, relax and chat under the fixed awning. 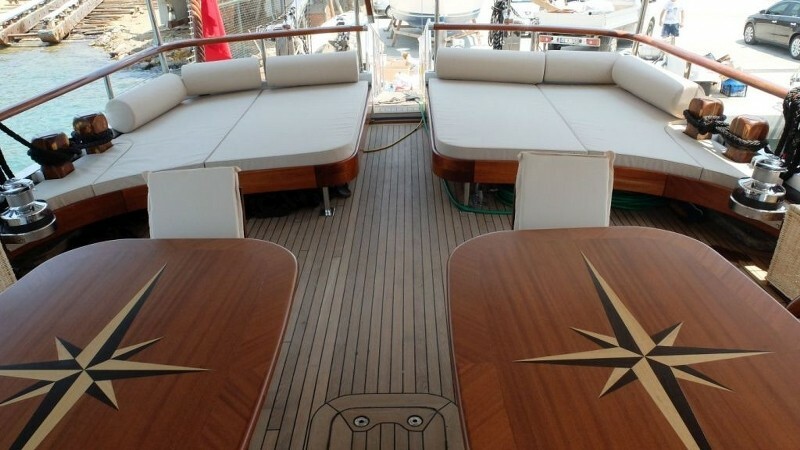 Other sun worshippers may be lying on the wide sunbeds on the fore deck, or admiring the views with a drink in hand on the comfortable curved seat forward in the bow. 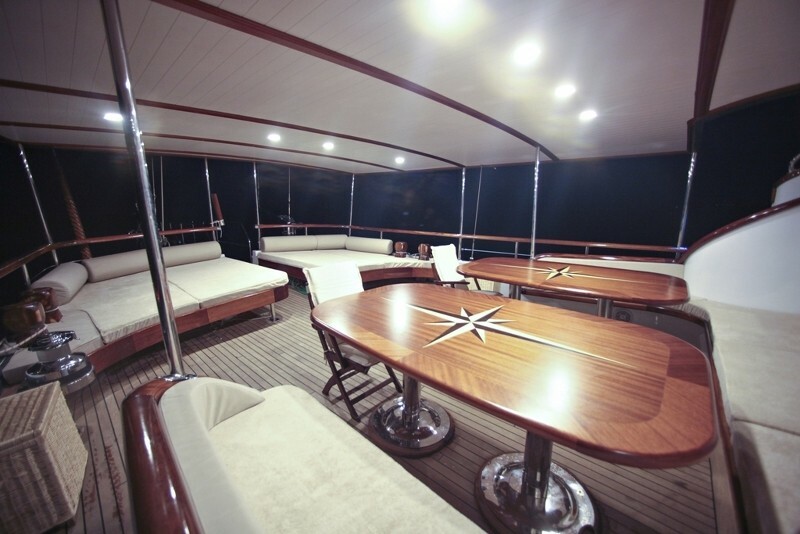 On the upper deck or flybridge, the dinner is set at the two tables for a delicious meal outdoors, while guests can enjoy a drink at the wet bar on the same deck. 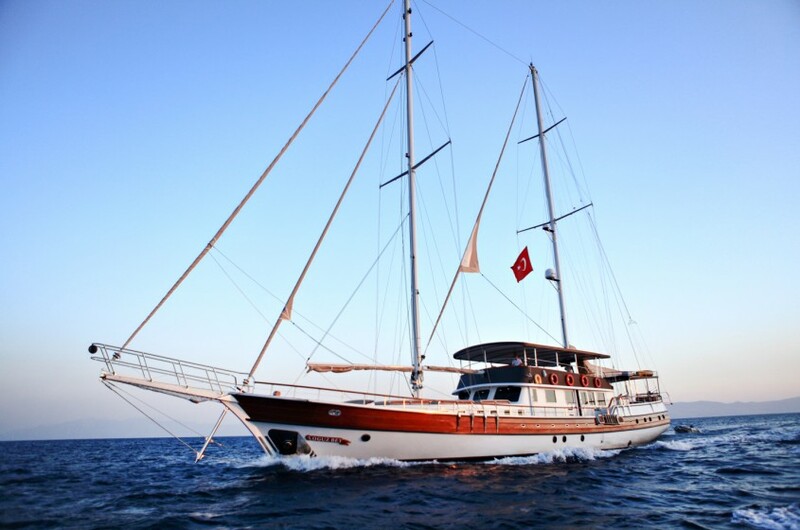 Oguzbey gulet is one of the rare gulets licensed to carry its full capacity in Greek waters, therefore on a gulet charter the Oguzbey offers cruising itineraries along the Aegean coast of Turkey or among the Greek Islands of the Dodecanese such as Rhodes, Symi, Kalymnos and Kos, all of which offer beautiful scenery, fascinating villages and quiet sheltered bays where the active can explore ashore, or play on the water toys available on board including water skis, wake boards, ring, canoes and windsurfer.